My Handyman OnDemand takes pride in everything we do, so when we install stone patios and walkways, we build them to last. Precise cuts and quality materials ensure our patios will last for years to come and look just as they did when they were first installed, minus the natural wear. Your imagination is our limit. Whether we are extending your entertainment space, bringing the sitting area down to the ground level for more privacy, or creating access pathways from one part of your yard to another, My Handyman OnDemand can design and install the right surface for you. Are you dreaming of a more beautiful backyard or deck? A pergola adds comfort, versatility, and elegance to any outdoor space. At My Handyman OnDemand we transform dull, disorganized landscapes into functional, visually appealing outdoor living areas. Our pergolas are build to last, enduring the elements with ease. They create new entertaining opportunities while adding just the right amount of shade and comfort. And our commitment to your satisfaction means we work hand in hand with you to bring your specific vision to life. Enjoy your outdoors more with a new or newly repaired porch from My Handyman OnDemand. A beautiful porch won't just make your home more beautiful and inviting, but will also add value and comfort. When it comes to outdoor porches, you want a combination of the newest products and trends along with old school craftsmanship and dedication. That way you get a fantastic looking porch that is built to last through all kinds of weather. If you existing home does not have a porch, My Handyman OnDemand can help with designing one that fits right in with the architecture of the house. Ready to take your current porch to the next level? My Handyman OnDemand can make subtle or dramatic upgrades, adding value to your home. With over 15 years experience, we keep our pricing fair and competitive so that your dream patio, pergola or porch stays within your budget. 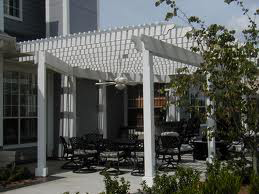 Bring us your ideas, and we will construct a patio, pergola or porch that exceeds your expectations.